Last December, I traded lechon, fruit salad and queso de bola for turkey, pudding and scones. I had a white Christmas in the UK with my one-year-old son. Applying for a UK visa doesn’t need to be stressful, this guide will teach you how to apply for UK Visa in Cebu, Philippines in very easy steps! You can also read my helpful travel itinerary to London UK and Stonehenge Visit article for more information. I love DIY travel arrangements: I plan flights and apply visas sans travel agencies. Travel agencies’ processing fees range from PHP 9,000 to 15,000 (screw that).It saves me money and I find joy in being my own travel planner! It can be time-consuming, but entirely doable (and pleasurable, at least in my case). Many friends and colleagues have asked me how I applied for my UK, US and Schengen visa, so to make it easier to everyone, I’ll be writing a series of Visa Applications 101. All Filipino passport holders require a UK Visa if you plan to visit the following territories: England, Ireland, Scotland and Wales. If you plan to visit other parts of Europe, you will need to apply for another type of visa. In my case, we made a short side trip to Paris so I needed to get a Schengen visa as well. Applying for a UK visa doesn’t need to be stressful. You just need to be prepared and do ample research far ahead. If you’re reading my blog right now–good job! You just aced the research part. I have divided the UK tourist visa application process in four steps: 1. Preparation, 2. Online Application, 3. Appointment and 4. Waiting Period. By the way, if you’re planning to make a side trip to other European countries, you will need another visa, a Schengen visa. Click on this link to read on How to Apply for a Schengen Visa. Firstly, know the type of visa you need. What is your purpose for visiting United Kingdom? Are you there to see family or friends, to get married, to study or to relocate?There are different types of visas for different purposes, and you can check UK website’s Visa and Immigration page to know what type of visa you need. For marriage, study or other types of visas, they require different requirements and information; but this blog can only provide information on how to get UK tourist and short stay visas only. It is important to always be truthful regarding your purpose to visit UK. Any inconsistencies stated in your application or documents will get be refused a visa, or even get blacklisted. For General Visitor short stay visa (as is the focus on this blog), your maximum stay is only six months. You cannot work, study, or get married during your stay as a General Visitor. Initially, I filled out the online application form for a General Visitor visa, but then after careful reading I realized that we actually needed a Family Visitor visa instead. Our primary purpose was to see my partner and his family to spend Christmas together; sightseeing and leisure being secondary. I canceled my primary applications and made new applications under Family Visitor. Again, be mindful of what type of visa you’ll need! Applications are accepted up to three months before your travel date. You should apply for your visa as soon as you’ve finalized your travel schedule and booked that ticket! (you don’t need to buy a ticket just yet, a booked reservation will do). I recommend to apply 6-8 weeks before your travel date. Once you have all your travel information, passport and contact details on hand, you can start your visa application process. The only way to do it here is online. You can start your online application here and read through the second phase to guide you on how to fill up the online form. There’s no need to panic if you don’t have all the information on hand–you can always log in and out of your account any day and fill up the details when you have them ready. UK visa applications are done on a third party application center (currently VFS Global Services) and not submitted directly to the British Embassy. VFS does not have any control towards your visa application decision. Read through your applications twice before you click send. Once you submitted the application and paid the fee you cannot change any details anymore. Confirm that everything is correct, Book an Appointment, Pay the Visa fee and Print your Application. The UK visa fee is steep- on 2014 the short stay visa fee in the Philippines was USD 120-150, but since we lodged our applications in Cebu we had to pay an additional service fee of USD 101. Total cost per application was USD 143 or around PHP 11,000+. I paid the same amount for my son’s application and mine. Next step is the physical appearance: appointment time. In the online application, you are given the option to choose the date and time of your appointment. If I recall right, appointment times can be done on weekdays and from 8:00-12:00 only. I chose my appointment date on November 11, 2014 at 11am (not a morning person here). This gave me approximately two weeks to collect all the necessary documents I need. 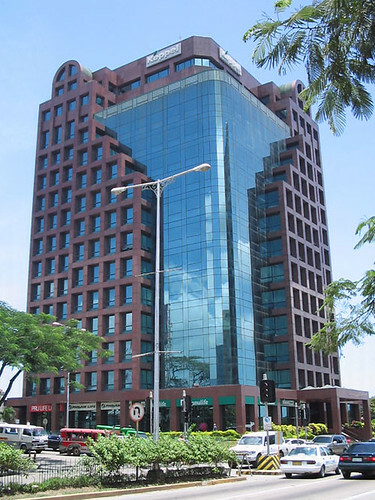 For UK visa appointments in Cebu, you need to go to VFS Global Services which is at the 9th floor of Keppel Building, in Ayala Cebu Business Park. It’s not hard to find. On the day of your Appointment, come early and be prepared. They are strict with their rule and will not let anyone in until 15 minutes before your appointment to avoid crowding in the center. If you came 16 minutes or earlier, you will have to wait outside. You need to bring all necessary documents and need to take your biometrics (photo and fingerprints taken). The documents should be properly organized and arranged so you wouldn’t be fumbling around your papers on your appointment. Basically these documents support your purpose of UK visit, and show your ties in the Philippines (job, family, children, school, properties, business, etc.) and establish proof that you are coming back. Confirmation of Booking Appointment – this is sent to you via email which indicates the time and date of your appointment. I was not able to print this because I thought VFS already has a schedule of confirmed names and appointments. Since I came early, I had enough time to go down, look for an internet cafe and print the booking confirmation and return just in time. Printed Application Form with Photo – print out your complete and signed application form and affix a photo (glue it in!). Financial Supporting Documents – documents that prove you don’t need to work while you’re in the UK. This can include bank statements, pay slips, credit card statements, property titles; within the last six months or so. School & Employment Supporting Documents – provides proof of coming back to the Philippines. Supporting Documents from friends and family in the UK – If you’re planning to visit friends or family, include a letter of invitation from them, their financial documents and bio data of their passports attached as well. Complete submission of these documents will be helpful in obtaining that visa, but does not guarantee a visa issuance. Missing or incomplete supporting documents may also result in a UK visa refusal. No need to dress to kill–just look presentable. Wear comfortable, smart casual clothes that cover all the right areas. The application center’s task is to receive your application and documents only–a personal appearance is required but no interviews will be conducted for tourist visas,unless deemed necessary. For the biometrics, you will need your photo and fingerprints taken, hence the need for a personal appearance. My baby boy needed to be there for his biometrics. Even newborn babies are now required to show up in the visa center. You can not to bring your bags, mobile phone and other personal belongings inside, and you’ll be asked to leave them in the reception’s storage counter. Store your documents in a transparent envelope. An enclosed folder or even a brown envelope is not allowed. All transactions will be paid online. It only took me an hour and a half to go through the process, although I heard the female guard comment that it was unusually not busy that day. The most tedious part for me was the waiting game. Once you’ve done with the appointment phase and submitted all documents, I was told by VFS Cebu to wait 14 working days to get my results. This works for Cebu area, but Manila is said to take 7 working days only. You can sign up for an SMS service to update you throughout your visa’s processing, but I haven’t tried it. Also, they will request for your email address and will email you if your documents and visa is ready for pickup. Your decision will be despatched shortly. Passports can normally be collected from the Visa Application Centre after 3 working days unless you have been advised it will be returned by courier or have paid an additional courier fee. This email means that the UK Embassy in Manila has already made a decision towards your application. This may mean either way that you’ve been approved a visa or not. I received this email on Friday, probably sent deliberately to give me an awfully nerve-wrecking weekend. The processed visa application for GWF reference number – GWF___________ was received at the UK Visa Application Centre on date time. This email means that your visa has landed in Cebu and is now ready for pickup. I got mine the day after on November 18. Last part is the waiting time. You can choose to have your documents returned to you via courier or pick-up at the center. I chose the latter as I only lived nearby anyway. As soon as I got my email, I went to the visa center the next day. I had my appointment on November 11, and on November 18, we received our UK visas! That’s exactly 8 days, or 6 working days. Hello! Your blog is awesome and more specific. Its not my first time btw. I was granted a UK visa last Feb. and visited my boyfried in London. And now, I am pregnant at the moment. My bf and I were planning about getting our baby *soon* a visa and thats the reason why I came across on your blog in the hope that you can help me. Honestly, we are not married yet. Would it be a problem? My boyfriend will sponsor everything though. Maybe you can apply for a fiancée visa, stating your intentions to get married in the UK and show proof of your relationship. That is more appropriate than a tourist visa or a family visitor visa in your case. Hi! good Day! can i ask a question, if you recieve a refusal entry is there any chance to re-apply again?thanks and godbless! Sorry for the late reply, Oliva. Keep in mind that the UK embassy has records of your previous applications. Don’t deviate too much from your previous applications. Radical changes or lies can easily be detected by them as they look at your previous application history. Hi Jen, In order to be approved of a tourist visa you need to have proof of strong ties to the Philippines. Thus they required documents like employment details, bank statements, or titles of cars, land or homes you own. If you don’t have proof there is a high chance you will get denied, despite the fact that your fiancee will be paying for the trip. hello Im Dhaiyn,I am going to apply for UK visit visa this December Im just cofused, How can I get flight details without booking the flight yet?I dont want to book unless I have my visa approved. Hi Pretty Good day to you! I would like to ask about one of the sponsor’s documents. The sponsor forwarded me his mortgage summary I would like to know if this is enough proof of accommodation. Thank you for your time reading this. Godbless! Thanks so much this is very helpful. My sister and I are planning to get family visitor visa to see our family there next year. Your post is a big help on our preparation for our application. Thank you!! Good luck on your application! ei pretty,samantha here ,im from cebu as well.first off,ur post was definitely a big help,thank you.im collecting document neccesary for me and my 4 month old baby to get a uk visa.got a few querries though,planned to go uk for christmas holiday with my long term british partner to visit his parents(my daughter’s grandparents), followed the steps ,registered online and it gets confusing on what visa to take for our daughter and myself.shall i go for general visa for me? and child visitor visa for my baby? or family visitor visa for her?and another type of visa for me ?my partner and i arent married,we lived togetherr for years,he also have a decent job here,our daughter have filipino passport but we will be workin on her u.k.passport soon,its a tedious and long process to get british passports for baby with british dads these days so we opt for visa instead..
will gladly appreciate a response..big thanks!! That’s great, congrats and enjoy the United Kingdom! Hello Ms Pretty, I will be travelling with my husband, he’s British and living here with me in Philippines. We will visit his family in the uk since I havent met any of them yet. Now he’s going to pay for my Transportation and accommodation expenses. Do i still have to submit a letter saying that he’s going to pay for the part of my trip? or his bank details, income details, tax returns and passport will do?Thank you po. Yes, if you declare a sponsor for anything other than yourself, you will have to provide his personal details and financial documentation as well. Hi, may I kindly ask how fast is it to book an appointment? I mean if I book for tomorrow, will it be available or is it normally weeks from the date of booking? Hi ! just a scenario here, given that i have an approved Schengen visa and want to do side trips in the UK. Initially upon applying for schengen visa, the person who will pay for this trip is my parents and as well as UK. Is it possible that i can provide the requirements(formal obligation from EU(non UK) parents) from the schengen visa to the UK visa. Basically i want to have both schengen and UK visa and both trip will be sponsored by my parents. That’s what I did before, but reverse: I applied for UK visa first and then my schengen visa. Having an approved visa increases your chances for an approval of over subsequent visas. The problem is, embassies do not normally return your submitted documents. Maybe you can think ahead and ask for two copies or photocopy your documents before submitting them. I am planning to go to the UK this coming April. I’ve been inquiring about how to get a tourist visa. I am planning to stay there for 3 months only. My problem is I don’t have employment details bank statements and land titles to bring with me as supporting document. I am still a student but will graduate in March 2016. Although the person I will be visiting in the UK is going to pay everything for me. What do you think should I present as supporting document? I’ll be glad to hear back from you. Hi Pretty…I got my visa today.I applied for family visit visa…Your blog is very helpful.Thanks a lot. Hi pretty, I’m going to visit my sister in London on December, she’s a staff nurse in a govt. hospital in Crawley. I was worried that they might denied my application. I’m currently a student but my father provided me money every month since he’s a seafarer so financially i am stable even without the help of my sister. Do i have a better chances if I apply without my sister support? It will be just a short visit, should I get the family visit or tourist visa? Thank you! it depends. if you think your financial statements are enough for you to be awarded a standard visitor visa, you can do so. But remember finances aren’t enough–you need enough proof that you are coming back to the Philippines as well. if you have a certificate of employment (employed) or cert of enrollment (student), present that. if you have properties under your name, you can present that as well. Hi pretty What questions would the London airport immigration normally ask for a non EU who’s travelling there for the first time? I just want to ask if its ok to pick up the docs in the VAC even if i chose to have it couriered because i received their email last thursday march 10 but until now i did not receive it. Can i go directly to the VAC to claim my docs? Hope u can answer my query. Thank you in advance. Unfortunately your application is probably still at the embassy pending a decision. You will often receive a message when a decision has been made and returned to VAC. Im a bit confused on what type of visa are we going to apply. We are not yet married and my partner wants me and our son to visit there to see his family and sight seeing as well. Should we apply General Visitor Visa or Family Visitor Visa? Gotcha! Thank you so much!!!! Muaaah!!! More question, I was approved last year so basically this is my 2nd time do you think it will be smoother this time with my son? Another question I was approved last year, Do you think it will be easier and smoother this time and with my son? Hi just want to ask about baby’s visa..
What documents i should put for her application..
Do I need to put my husband’s payslip or bank statement.. Yes, provide financial documents you have to support your baby’s application. Most of the documents I submitted for my baby’s visa is the same as mine. Good luck! Hello Ms. Pretty! My parents, grandmother and I would like to apply for a UK and Schengen visa. Can we apply for those visas at the same time or we need to apply a visa after the other? Thaanks! After the other. You can’t apply them simultaneously as you will be submitting the passport to the embassy. Oh that figures! Thanks for the response, God bless! No problem–good luck with your visa applications! Let me know if you need anything else! hi prettty. i have an on going visa application to Ireland and decision will be out in 2 weeks. But we are also planning to get a uk visa. i already have all the documents except for hotel booking. i dont know how/where to get it. Our trip is a treat from my mom in law from ireland. He cant get a hotel booking without paying the a reservation fee. She doesnt want want to pay anything until we get our UK visa. By the way, our target date to leave for Ireland is on May 1. Do you have any suggestions? Hi Ms. Pretty, I’m planning to apply for a tourist visa in London. I’m a Filipino but working in Bangkok. I will travel to UK and Schengen Visa this July. I have my own savings account but my parents would lend me money and deposit it in my account just in case my money wouldn’t be enough during travelling. Do I still need to declare them as my sponsor since they will deposit the money in my Bangkok bank account? If I need to declare and need to show their financial statement, it’s in Philippines account anyway. Hi Pretty, I’ve lodged my application online and completed the payment already but there’s a next step labelled as “Register at Commercial Partner”, however when I click on it it just sends me to vfsglobal.co.uk/global and there isn’t really a link/option for me to register anywhere? I’m not sure if you’ve encountered this before? I’ve already received emails from them confirming my appointment schedule but I’m just worried because even though I have clicked that step a couple of times, it still hasn’t turned green in color (which is an indication that the step has been completed already). Any advice? Hi Lynn, I don’t think I have encountered that. Maybe you can email them and ask what t means? Hi pretty im really worried. I applied uk visa last 25th i availed for sms as well but until now i havent heard anything from them regarding my application. But as far as i remember they just send me sms the first day of my appointment saying that my docs has been forwarded to ukvi. Hi, you might want to update your blog. The list of UK Visa requirements have changed, example, hotel and flight booking aren’t required to be submitted, plus more. Hello, may i ask what’s the length of stay approved on your visa? And when you applied how many days/weeks did you placed on your itinerary? I apologize, as I’ve only got experience on how to apply for a tourist visa, and not a fiancee visa. Hence I think I can’t give you proper advice or recommendation on that 🙂 thanks! It will be a little difficult with your circumstances, in my opinion. However, if you have a family member who is willing to be your ‘backer’ such as your mom, you can submit a letter to the embassy stating that your parents will financially support you for your trip (affix their signatures as well). you can submit their financial documents, bank statements and employment certificate. How about a return ticket of going back to Philippines after six months of visit in UK? Or? What else can i do/have as a proof? a return ticket would not be enoough though.. you will need strong proof that you are returning to the Philippines and that includes employment, financial statements, land titles, car/house ownership.. anything that will strengthen your ties to the Philippines. Hi mitch. I noticed we’re in the same situation. Did you find solutions with yours already? I hope youre already in UK at this moment so that you can answer me. 🙂 thank u in advance. Same here po..i have a friend who shoulder all expenses..what documents should i bring since i dont have work and im no longer a student (graduated already)..have kids but not married with their father..he already sent me email about coming to the uk and he stated that i will be coming back to the philippines because i have kids. My fiance from uk wanted me to get visit him as soon as possible and he advise me to get tourist visa .but i dont have anything to proof that i have to be back here in philippines but he wants me to open a bank account with his money thats all i have .is it possible i get a tourist visa? I have something to ask to you since i noticed here in your blog that you are willing to help others confussions .i would really appreciate your anwers to me though im not good in english.hope you understand me.anyways i have read some comments here just like what my intention is.as i have fiance there in uk and he wants me to get there as soon as possible and he suggest me to get a tourist visa because he thought that is easy and quicky way than other visa.but i dont have anything to proof that i would be coming back here .i dont have work im not studying and no cars.but he is willing to open a bank account for me with his money.do you have an idea how much is that the amount of bank and is it needed to have another proof even i have an account on the bank? We’re (my family and parents) planning to apply a uk standard visit visa to attend my sis civil union with his british partner this jan 2017. My query is, I already started with my visa application through uk’s website, are my hubby, son and parents will be included in my application or shall I make an individual account for each of us? hi Sol, i got the same problem. Online shows Manila option only. Hi Pretty, did you get the same option too? And just head to VFS Cebu to pay for the Cebu assistance? So if for example I have a savings from my payroll account from work, is that consider as savings? Im confused if Im going to answer YES to this, then if i say yes there is a box to put the monthly income, so I’m gonna going to put my taxable monthly income there? THANK YOU. Hi rachel, kapag ba nag pa appointment ka thru online on vfs uk pwedeng mahuli na yung online payment? or kailangan muna mag pay bago magpa appointment? thank you hope to hear from you. Thanks for your informative blog, really a bih help for us seeking answers on how to apply UK Visitor Visa. I just had a question, I will be traveling with my daughter in the UK, do I need to send the same requirements I have like COE, bank statements etc. On her application? Thanks. I should tick NO here kasi let me i only have savings from my work which is in payroll account But I “dont” get monthly income/interest from that salary/savings. Also, I dont have separate savings account. Meaning isa lang account ko. I only have payroll account. Am i right? Thank you again. Hope to hear from you. hi po.. I am curious about how you arrange the documents inside the plastic envelope.. Did you make a cover letter for yourself and for your baby aswell? And should I put my child’s application in different envelope?